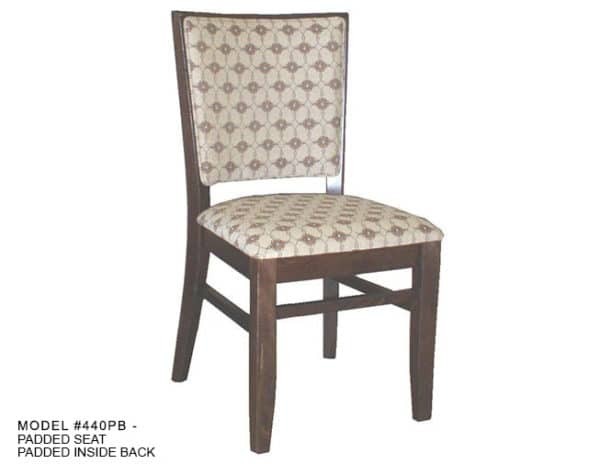 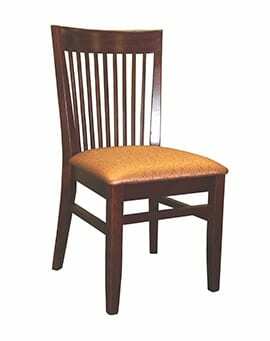 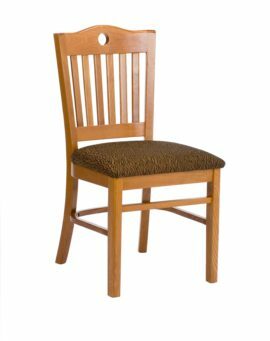 Deluxe High Back Ladder Back Side Chair – Model 440 – Restaurant Chairs by M. Deitz and Sons, Inc. 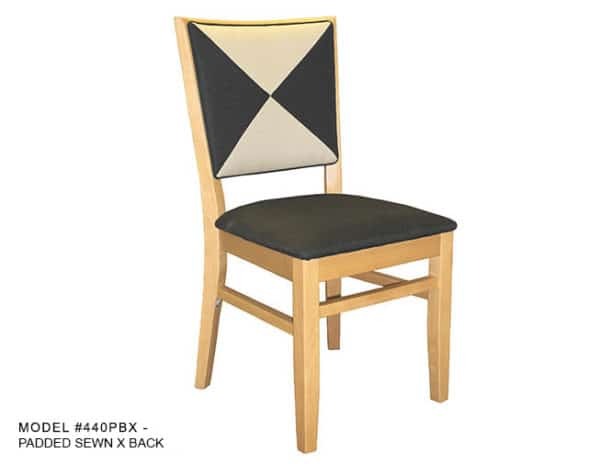 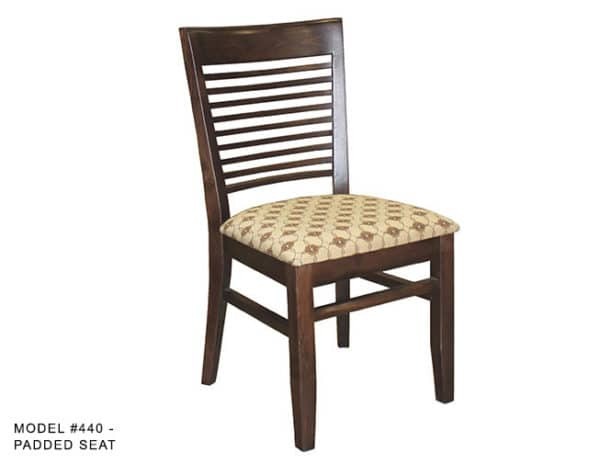 This beautifully designed ladder back restaurant side chair is versatile and sophisticated. The chair’s multiple ladder back slats create a contemporary look and the high back ensures a comfortable seat for everyone. 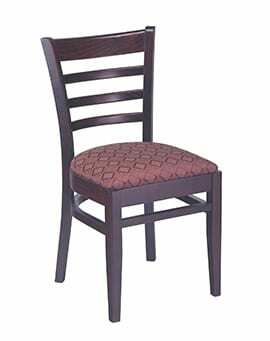 There are so many ways to customize this commercial chair. 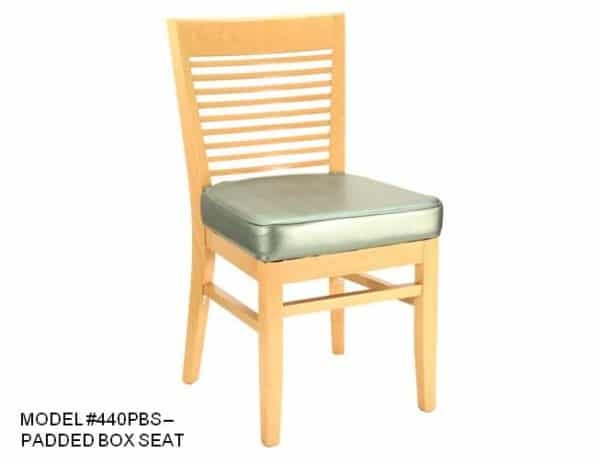 The slated wood back can be fully exposed or the inside of the backrest can be upholstered exposing the slats on the back side of the chair, creating a beautiful louver effect. 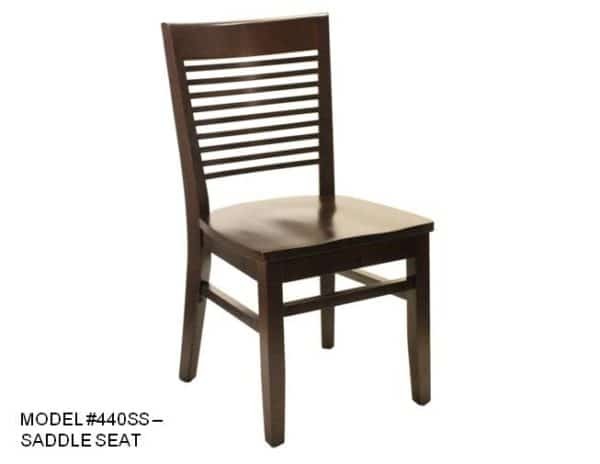 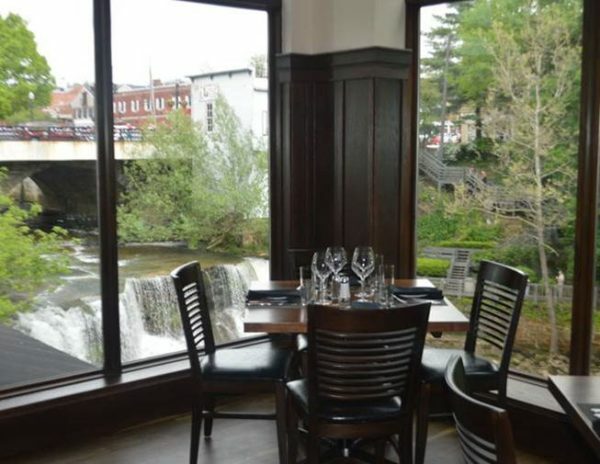 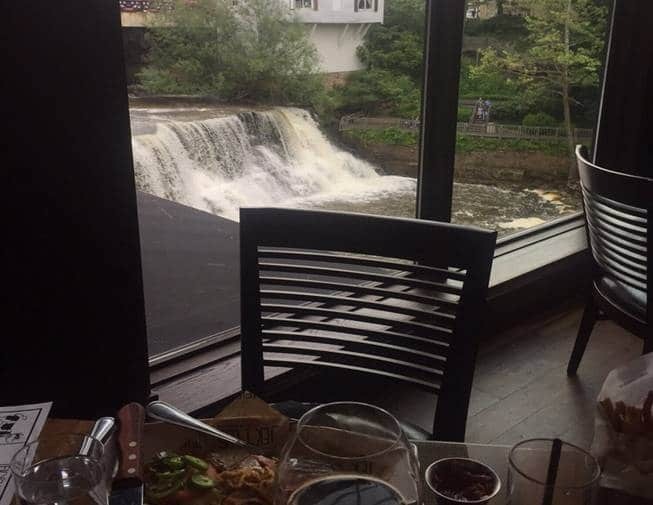 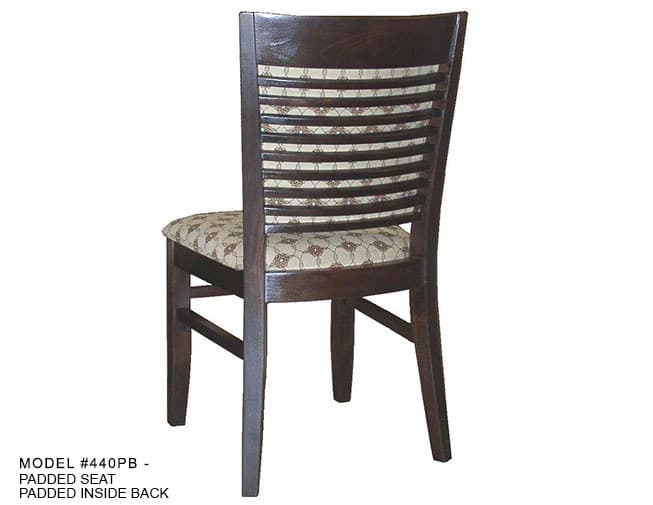 These solid wood commercial chairs are backed by the tradition and reputation of M. Deitz and Sons, Inc., offering the highest quality of manufactured restaurant furnishings at affordable prices. 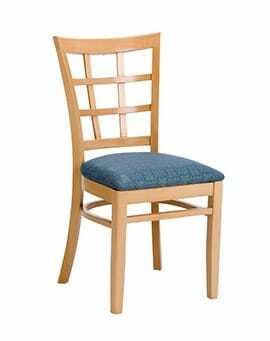 All the chair joints are hand glued and reinforced with corner blocks and steel brackets. 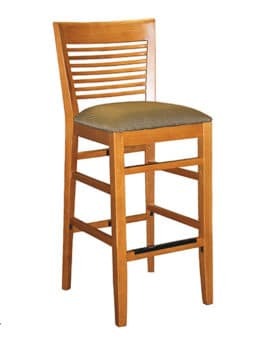 They can stand-up in any hospitality environment. 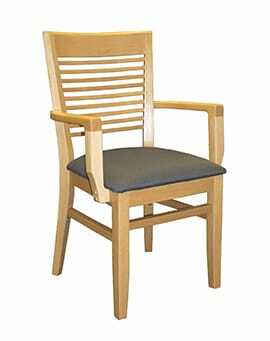 The wood frames are available in a variety of wood finishes. A solid wood saddle seat is optional and a matching arm chair and bar stool are also available. 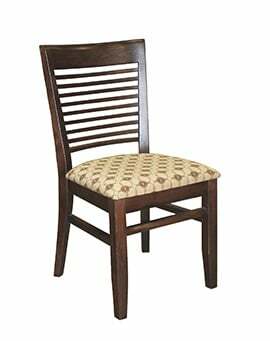 Choose your seat style and upholstery and we will do the rest.